SAN FRANCISCO (CN) – Two former employees of a major air pollution regulator in California say the agency routinely destroyed enforcement documents, deleted records related to ongoing legal disputes, and gave monetary breaks to the region’s major polluters. Michael Bachmann and Sarah Steele, former employees of the Bay Area Air Quality Management District, filed a claim against the district on Tuesday, saying the systematic destruction of documents relating to the regulation of air pollution in the San Francisco Bay Area prevented the agency from carrying out proper enforcement. The pair say the agency also covered up the routine reduction of fines and penalties to large energy corporations operating within its purview. Their claim was filed with the Office of Risk and Insurance Management in Sacramento, and is required before taking legal action against a government entity. The district inspects and enforces air pollution regulations for major oil and natural gas refineries located within its seven-county jurisdiction, including those owned by Chevron, Tosco, Pacific Steel Casting and Shell. According to the claim, the district’s legal and enforcement divisions routinely reduced fines for violations by some of the major Bay Area polluters, often making significant enough reductions to avoid requirements for board notification and associated public review, and then sought to destroy those records in violation of state and federal law. The district refuted the allegations in a statement released Wednesday. The district further said it has kept meticulous records of all violations, facility complaints, investigation documents and correspondence for the past 30 years. Bachmann was employed with the district for 16 years and was the IT manager in charge of document and record retention. Steele was hired in 2015 as Bachmann’s assistant. Steele’s primary function at the district was to assist in digitizing old records as the district shifted its headquarters. Her task involved taking paper records and making digital copies of documents, including permits for emissions, refineries, chemical companies, steel plants, along with legal settlements, board meeting minutes, and several notices of violations and the fine amounts given to them. 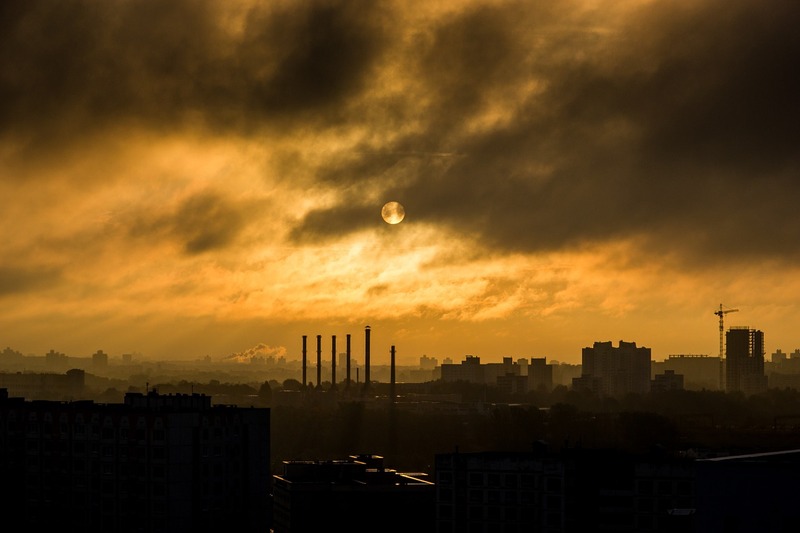 This past September, Steele was approached by the district’s chief legal counsel Brian Bunger, who encouraged her to destroy microfiche documents containing records of air quality violations by numerous companies under the agency’s regulatory umbrellas, according to the claim. Specifically, Bunger and the district’s legal team wanted documents pertaining to a lawsuit against Pacific Steel Casting – which were under subpoena – removed and destroyed, Steele says. Before proceeding, Steele told Bachmann about the legal team’s request. Bachmann said the request should have come through him and stressed that insuring compliance with internal policy and state law was necessary before proceeding with deletion, according to the claim. Shortly after this meeting, Bachmann and Steele discovered that several thousand enforcement records, including citations, notices of violations and hundreds of executive communications were removed from the online database, they say. Following repeated complaints related to the rampant destruction of documents, both Bachmann and Steele were alerted they were the subjects of an investigation. In February 2016, Steele was summarily fired, with the district saying her project was over. Bachmann persisted in his complaints regarding the improper deletion of records and was put on administrative leave and fired this past August. The main rationale for his dismissal revolved around improper overtime given to Steele, according to the claim. Bachman claims about $100,000 in lost wages and benefits, while Steele’s claim involves approximately $77,000 in lost wages to date. The pair are also seeking damages relating to emotional distress and attorney’s fees. Rains Lucia Stern St. Phalle & Silver in Pleasant Hill, California, and Gwilliam Ivary Chiosso Cavalli & Brewer in Oakland are representing Bachman and Steele.